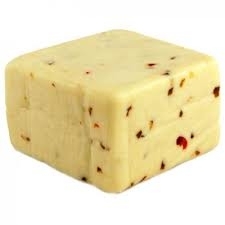 Monterey Jack cheese mixed with hot peppers. Spicy, delicate and buttery, pepper jack cheese is semi-soft and open textured with a slightly tart flavor. Price is per pound.